Detail of the granny stitch ripple – which was easy once I got going but the edges confused me at the start. Thought I’d leave you with a view of the new little blue glasses I picked up on a recent day trip to Beechworth – aren’t they sweeties? Garden flowers a little sparse at the moment, so I shoved a couple of lavender flowers in them. Will no doubt update this view with pretty flowers, arranged with care and time, and a cleaner window…soon… but not that soon as I’m back at the 9-5 now. 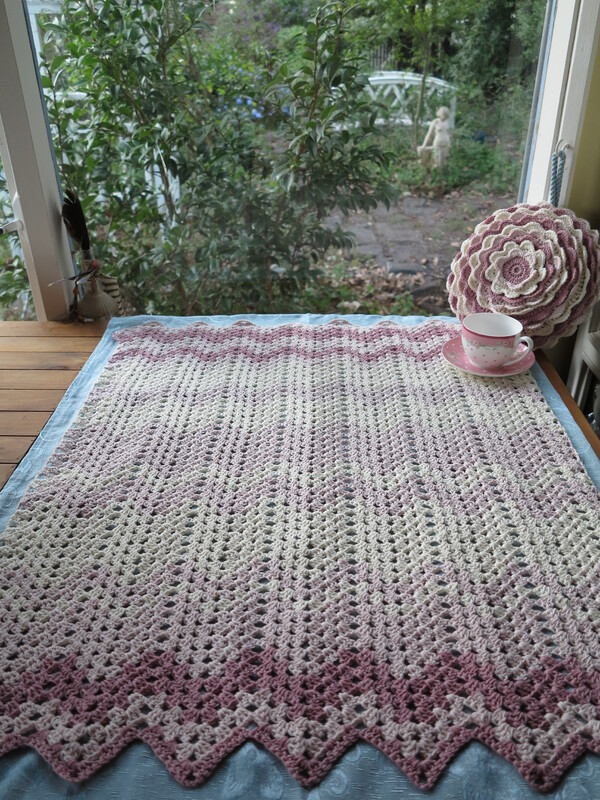 This entry was posted in crochet, Uncategorized and tagged 100% cotton, babies blanket, baby blanket, blue glass, crochet, granny stitch, ripple. Bookmark the permalink.